The Dymo MobileLabeler is designed to provide hassle-free operation for a long long time, but there's a few simple maintenance tasks you can perform to keep it in tip-top condition. One such task is cleaning the cutter blade. It's not necessary that you do this, but keeping it clean will ensure that your labels cut cleanly every time, making your labels look as professional as they should. 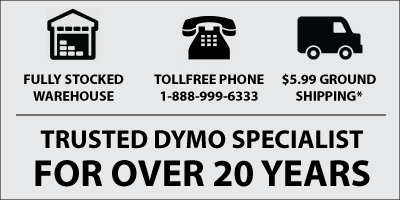 To keep the cutter blade free of build-up, Dymo recommends cleaning the blade each time you use up a label cassette. If you're constantly switching out tapes of various color or material, you'll need to be the judge of how often you clean the blade. 1. Press the open/eject button on the side of the Dymo MobileLabeler, then lift to open the side cover of the label maker. 2. Remove the label cassette. 3. Make sure the label maker is turned on and paired to the mobile device running DYMO Connect. 4. Open DYMO Connect and tap the menu icon. 5. Tap Cutter cleaning and then tap Expose cutter blade. The cutter blade will advance into a position where you can clean both sides. 6. Use a cotton ball and alcohol to clean both sides of the blade. (The cutter blade is extremely sharp. Use caution when cleaning). 7. After cleaning the blade, tap Hide cutter blade in DYMO Connect.